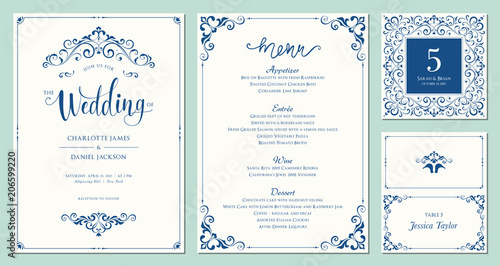 Ornate wedding invitation, table number, menu and place card. Swirl floral templates. Classic vintage design.